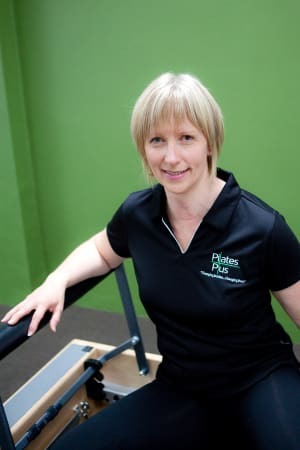 I’ve been a fitness and Pilates professional for over 30 years now and have literally worked with thousands of people, successfully helping them improve the quality of their lives. I’m sure you’ve heard the term, “Practice What You Preach” and that’s very true for me personally. I love being fit and healthy! The quality of life you experience on a daily basis when you are fit and healthy is elevated to an amazing level where everything is easy and effortless. But I had quite an extended period of time in my life where that wasn’t the case…in fact it was the complete opposite. I wanted to share my story to inspire and motivate anyone who is struggling with chronic back pain to believe that there is a way to get your life back and start living again, rather than just existing. I probably did my first “aerobics” class when I was 16 years old. We had to take our shoes off before entering the concrete floored exercise room where we did lots of jumping jacks, running and “Jane Fonda” style exercises. I was hooked from there. About 10 years later, I was reading the local paper and saw an advert for an “Exercise to Music” course at the local TAFE. So off I went, and after 6 months I was a qualified Aerobics Instructor! Yes that is actually me! That was the start of my career in the fitness industry, initially part time and eventually a full time career working in all aspects of the industry. Then one day, I decide that I needed a challenge and committed to competing in the sport of Competitive Aerobics. If you don’t know what that is, you need to be capable of doing the splits, on the ground and in the air and be strong enough to do a single arm/single leg push up in a fast paced routine that lasts 2 minutes. The only problem was that I had very poor flexibility and lower back issue due to some falls I had experienced over the years. I had been trying to manage the back issue with visits to the chiropractor and massages, which gave me temporary relief but didn’t make the problem go away. I was very fortunate to have a work colleague who was working in this new alternative training method called Pilates and she suggested I give it a go to work on my flexibility. After the first session, I went to my Pilates classes twice a week for 2 years straight! Not only was I able to do the splits, but I had never been stronger and my back had never felt better. Then a few years later, after competing in a half marathon, I started to experience some back pain again. My Pilates sessions had dropped off, I wasn’t stretching as much, and I had stopped prioritising this over other activities. One day I woke up with a sore back but decided to go for my scheduled run anyway. BIG MISTAKE! By the end of that day, I couldn’t walk, couldn’t sit, and couldn’t breathe without the most intense pain you could imagine. After investigation, I was diagnosed with a ruptured disc in the lower back. And my life came to a screeching halt. With pain medication, physio and bed rest it took about 6 months for some function to come back in to my body. 18 months on and I was back at Pilates and my fitness was back on track. But over the next few years, I started experiencing more stiffness and acute pain episodes not only in my lower back, but also in my upper back and neck and I was back to having daily pain in my life again. It turns out, that my entire spine had degeneration in various degrees ranging from severe to moderate. I went to the best sports physicians I could find, who gave me the solution of “there’s not much we can do, except manage the pain”. Faced with a life of chronic pain, and the ongoing degeneration of not only my spine, but my life, I made the decision to commit 100% practice my Pilates beliefs about movement, the body and health. Now when you are in pain, that’s not always easy. There are days when you just want to take the pill that will take the pain away…even if it’s just for a few hours. There is a real misconception about what Pilates actually is. It’s not just about “buns of steel” and “strong abs”. Let’s face it, I had that when I was a full time fitness professional. Joseph Pilates firmly believed that to have true health and be capable of living a happy life there needed to be complete co-ordination of body, mind and spirit and that every person was born with the right to good health. There are two principles that Joseph Pilates talks about in his book a lot…perseverance and discipline. Learning Pilates exercises is fairly easy, committing to the daily discipline of practice is more challenging. So every day, I do at least one activity that creates health and vitality in my body. And I happily practice Pilates in some way every day, even if it’s just 15 minutes. I do it because it makes me feel great and I truly believe in the Pilates way of life, and quite frankly if I don’t do it, my old and departed friend…daily pain, comes back for a visit. Today, at 54 years of age,I am happy to say that I have excellent pain free function of my spine about 80% of the time. I have moderate pain 10% of the time and every now and then I have what I call a “back attack”, but it usually resolves itself pretty quickly. So if you are living with a “bad back” and have accepted chronic pain as a way of being…DON’T!!! Pilates will empower you, educate you, and give you your body and life back. The entire team at Pilates Plus is dedicated to enabling men and women to do just that. If my story has inspired you to take action, I would like to offer you 1 hour of my time (for FREE),to meet with you for a consultation about your health, fitness and well being, giving you a realistic action plan for achieving a pain free life.